Comedian Jerry Lewis is no longer serving as the Muscular Dystrophy Association's chairman, the organization announced. (CNN) -- The Muscular Dystrophy Association announced Wednesday that comedian Jerry Lewis is no longer serving as the organization's national chairman. Lewis, 85, and MDA had announced in May that he was retiring as host of the MDA Labor Day Telethon in September. But he said then in a statement that he was planning to continue to serve as the organization's national chairman. "As a labor of love, I've hosted the annual telethon since 1966," Lewis said in the news release issued in May by the association. "And I'll be making my final appearance on the show this year, by performing my signature song, 'You'll Never Walk Alone.'" Jim Brown, vice president of public relations for the MDA, told CNN in a telephone interview that Lewis will not be replaced in his role as national chairman. He also said that Lewis will not host this year's telethon, which is scheduled for September 4. Instead, it will be hosted by Nigel Lythgoe, Nancy O'Dell, Allison Sweeney and Jan Carl, Brown said. No explanation was offered for the change of plans -- either about his position as national chairman or about the plan to replace him in next month's telethon. 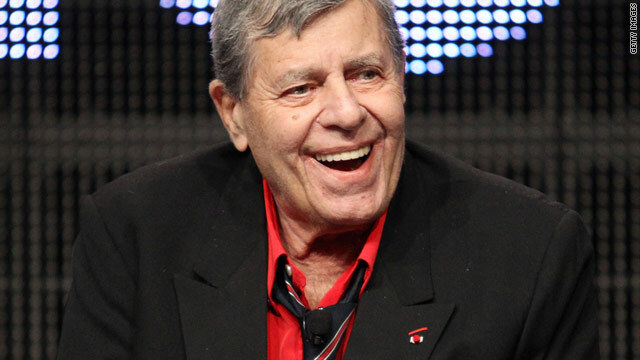 For 45 years, Jerry Lewis and the organization's annual Labor Day fundraiser have been synonymous, so much so that it became known as the Jerry Lewis MDA Telethon. Lewis hit it big at age 20 in 1946, teaming up with Dean Martin to become one of the most popular comedy partnerships in history. Together, they headlined thousands of sold-out performances, 16 hit movies and two dozen top-rated television shows. After the break-up of the Martin and Lewis team, Lewis made a successful solo career. In 1959, he signed a seven-year, $10 million contract with Paramount -- at the time, the largest contract ever between a studio and performer. His solo film career included classics such as "The Nutty Professor," "The Bellboy" and "The Geisha Boy." Still, for several generations since, Lewis has been known as much as a philanthropist as a movie star. That's because of his work with the Muscular Dystrophy Association, a nonprofit dedicated to curing that disease, ALS and related ailments as well as providing support, education and other services. Lewis joined the cause in the early 1950s, and he gave it star power in 1966 when he became the host of what would be the charity's first of many telethons over Labor Day weekends. In between occasional songs, comic bits and passionate pitches for people to donate, his biggest challenge was keeping the variety show lively and engaging for as long as 21.5 consecutive hours. Scores of television stations across the country picked up the program, while volunteers stood by to take calls from people pledging donations. The 2010 edition raised $58,919,838 after performances by the likes of acrobatic dancers from Cirque du Soleil, "American Idol's" David Archuleta, and a host of comedic performers. Still, throughout the acts, the one constant over 900 hours of programming has remained Lewis. This year's event will be shorter than many of years past at six hours.